“Revival of what?” I continued. Most of the missionaries assigned here in South Korea are alone in their respective mission fields. Missionaries by two’s are just too few that you could just count them with your fingers. Working alone in a world wherein you cannot communicate well weakens your interests, vigor, and I could say, spirit. You long to see your friends and batch mates, but unfortunately they are hundreds of kilometers away from you. Visiting them is also not an option since you have a lot of things to do every day. You could not just drop your tasks and go. Some missionaries are already counting down their remaining days of stay, even when it has been only a few months since they arrived in their mission fields. 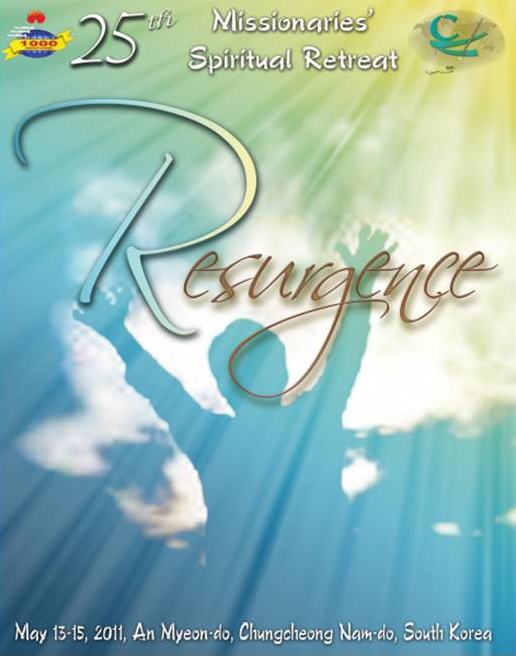 Yes, that’s resurgence! You are bringing back the ones who were asleep into activity and prominence. The ones who seem like prisoners bound by chains are now alive and very active. Yes, you are socially revived but are you spiritually renewed? “If any man would come after me, he must take up his cross daily and follow me.” (Luke 9:23) This is daily renewal, daily revival. Do not just wait for that meeting after every six months and depend on it to be revived, but instead, with patience and humility, endure without complaints the loneliness and the culture differences. Continually act as one who is being “sent” to represent Him in your mission field. Pray, for God Himself promised that He will revive your lowly spirit and your contrite heart. God alone can fill the emptiness of your heart. “Renew and be revived daily and follow Me,” Christ bade you. This entry was posted in Devotionals and tagged Christ, Christianity, Mission, Missionary, Religion and Spirituality. Bookmark the permalink. very nice and inspiring Mr. Prexy……Thank you and may God continue to bless you and your administration….